Here’s an article from the Spring/Winter 2017 edition of the Sasbah Newsletter. Working with those in Sussex with Spina Bifida and/or Hydrocephalus to create and develop their best opportunities. Big thank you to our audiences at The Miraculous Birth for their generosity. 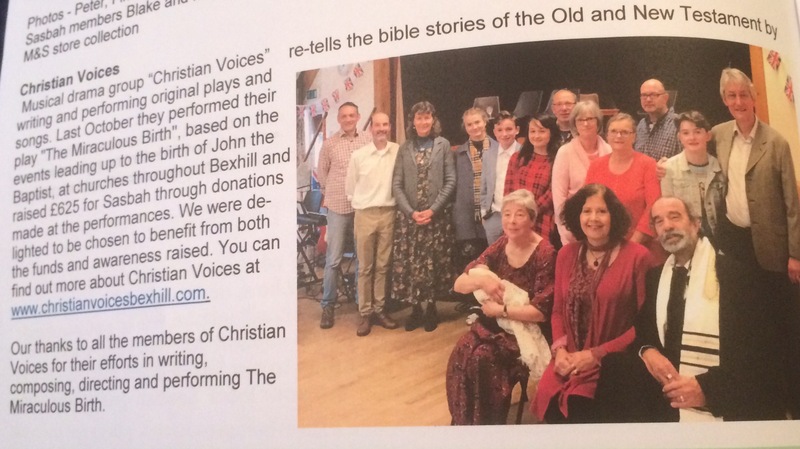 Posted by christianvoicesbexhill on 28/03/2017 in News, Performances, Press and tagged New Testament, News, Performances, Pictures, Plays, Press.